The Baths of Caracalla are one of the greatest and best preserved baths of the antiquity. Today there are only the rests of what it was before, but the façade of the building is entirely preserved and its enormous structures invite you to imagine its original glory. Baths were one of the favorite pastimes of the Romans, where they used to do exercise, take a bath and improve their social relations. From the architectonic point of view, they were extremely complex constructions that had sophisticated systems of water supply, heating and drainage. The Baths of Caracalla turned out to be the most sumptuous ever built, marble coated and decorated with a large quantity of artworks. 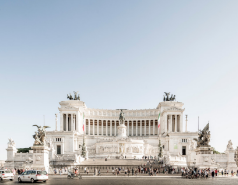 They were opened in 216 and called Caracalla by the time of Marcus Aurelius. Before finishing his reign he erected another bath complex even bigger but not that magnificent, the Baths of Diocletian. After being open for more than 300 years, the baths stopped being used in 537 because the barbarians destroyed the aqueducts that supplied Rome in order to take the city. The valuable materials that decorated the baths were looted and, lately, in the year 847, an earthquake shook the building destroying part of it. 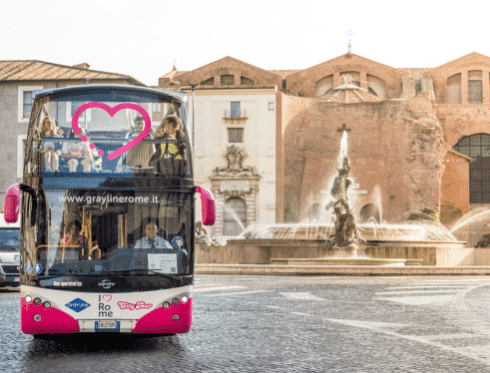 If you are passionate about the history of the Ancient Rome and the big monuments of that period, do not hesitate to take the tourist bus of Rome, Roma City Tour. 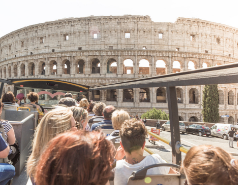 During its itinerary you will be able to enjoy the panoramic views of the eternal city while you listen the explanations of the audio guide. Moreover, thanks to the hop-on hop-off service you will have the chance to get off and get on the bus to visit the places that interest you the most. To know more about the Baths of Caracalla, get off at the stop 4 of our tour. Discover everyday life of the citizens of the Roman Empire!